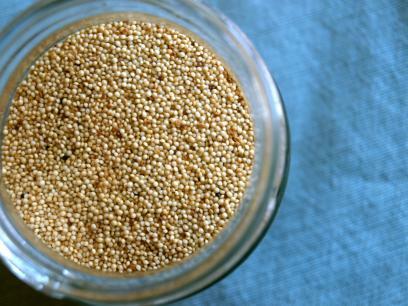 Great Grains: Amaranth - The Next Big Thing? One of the things I love about writing about food is trying new ingredients. When I run across something at the farmers’ market or in the grocery aisle I haven’t cooked before, it almost always ends up in my cart. When amaranth (pronounced ah-mah-ran-th) found its way into my kitchen last month, I was skeptical but curious about what this tiny grain had to offer.